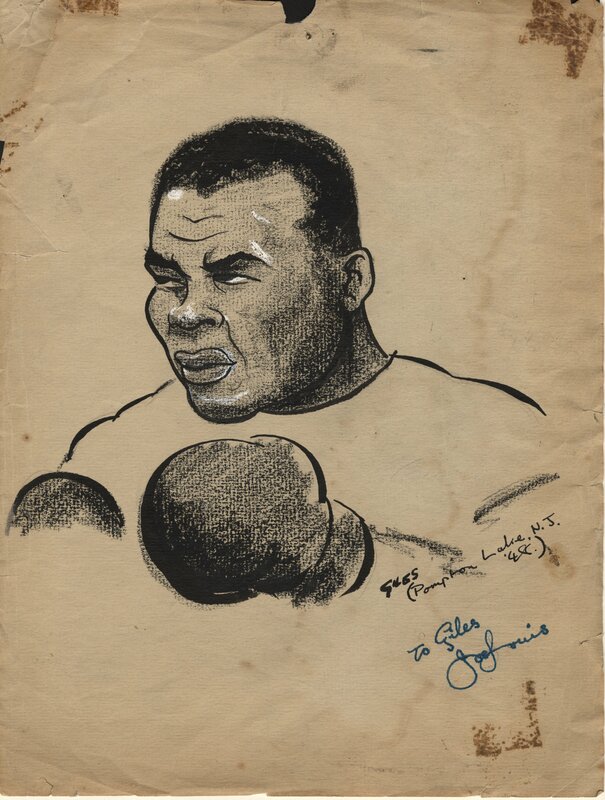 In 1944 the Heavy Weight Champion of the World, American Joe Louis, visited Stowmarket in Suffolk to meet with thousands of African-American troops stationed across East Anglia. 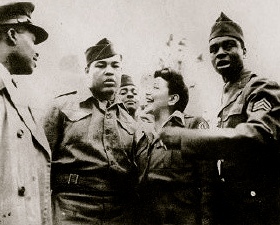 Despite the militaries racial segregation laws, Joe Louis became the focus of a recruitment campaign encouraging African-American men to enlist in the Armed Services. 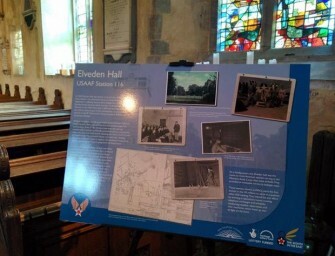 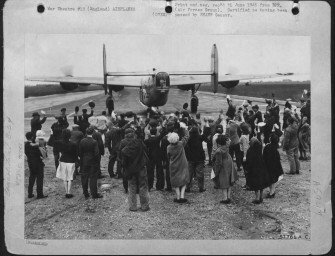 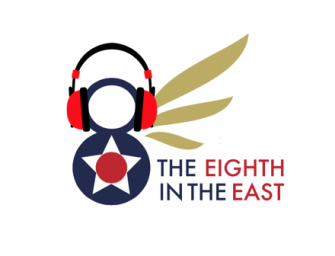 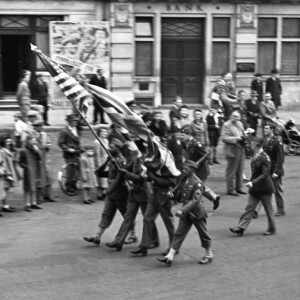 The publicity of the campaign made Louis widely popular in America and amongst the troops stationed in East Anglia. Never before had White Americans embraced a Black man as their representative to the World. 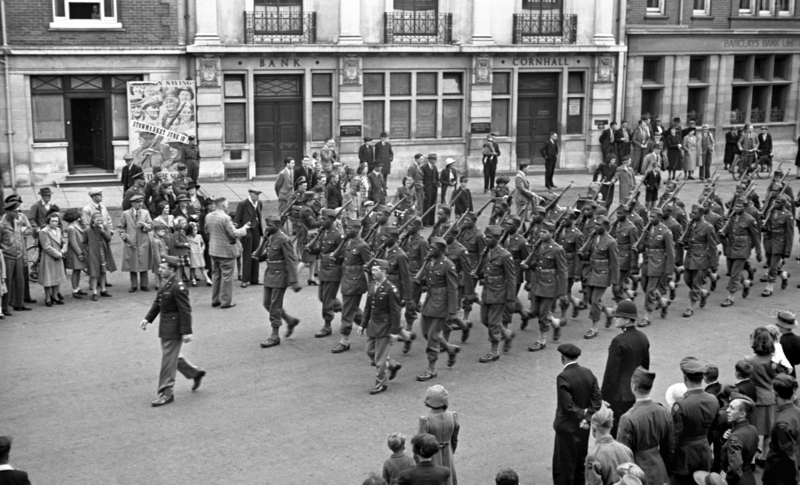 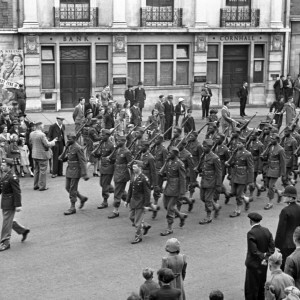 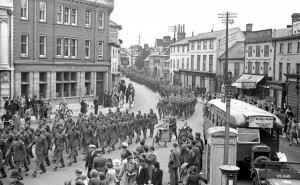 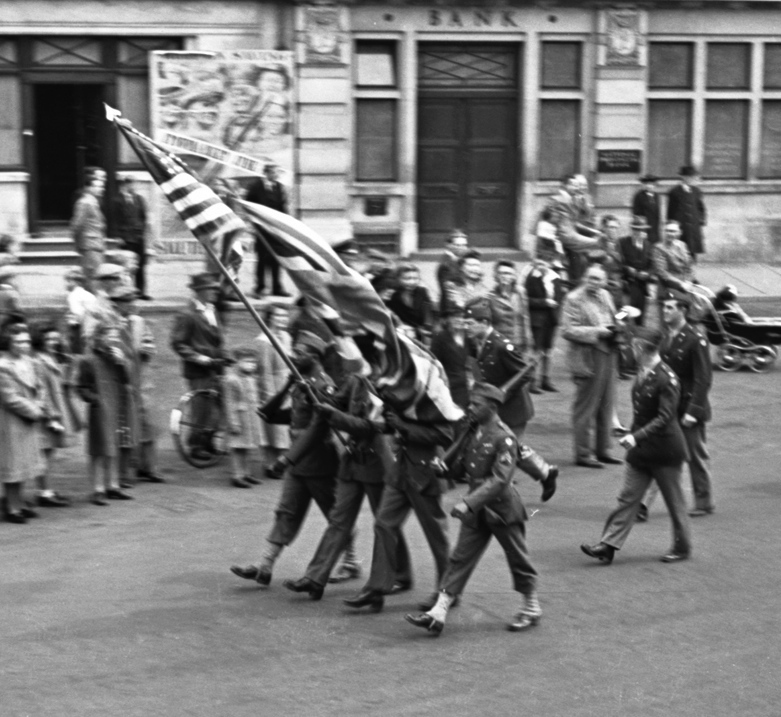 African-American troops parade through Stowmarket to celebrate the visit of Joe Louis – heavy weight champion of the World.